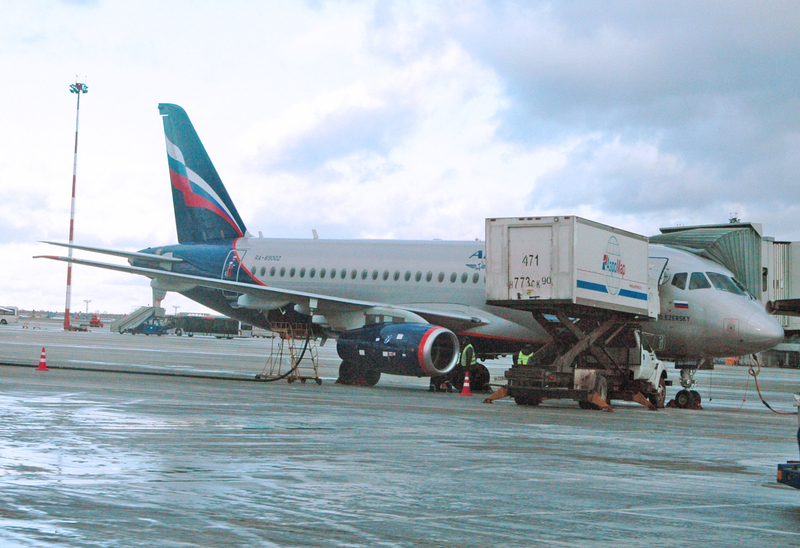 Aeroflot now operates five Superjet SSJ100-95s. A stretched version of the airplane would seat 130 passengers. Sukhoi Civil Aircraft (SCAC) plans to develop a stretched version of the recently certified Superjet 100 designed to seat 130 passengers. The airplane is dubbed the Superjet 130NG, and Sukhoi estimates its development costs will total $1 billion. The company plans to launch the program by year-end and execute a new joint venture between Russian and Italian firms to develop the airplane. Russia’s ministry for industry and trade has published its views on further development of advanced commercial aviation programs in its MPT Report 2011, in which the SSJ130NG gets its first mention by a government entity. The ministry says it is ready to provide non-refundable investments from Russia’s state budget into research and development work. The Russian government currently funds R&D work on a non-refundable basis, but only if the manufacturer involved raises 50 percent of the total required sum from commercial sources; the government then provides the remaining 50 percent. Fuselage plugs will give the SSJ130NG its greater length, and the airplane will feature new engines from a source yet to be chosen. Some SSJ100 suppliers might be ousted from the SSJ130NG. For example, the SSJ130NG’s developers say the SSJ100 interior from B/E Aerospace will be out, in favor of a lighter and more modern interior from Italian companies, to be installed in “green” Superjets at Aviastar in Ulianovsk starting next year rather than at KnAAPO in Komsomolsk-upon-Amur. Russia’s Irkut and SCAC parent United Aircraft Corporation (UAC) are trying to achieve “synergy effects” on the SSJ130NG by using best practices, technologies and partnerships formed in the development of the SSJ100 and the nascent MS-21 program. For that purpose, UAC has established a “directorate of joint programs” under the leadership of Alexander Pimenov, also acting SCAC vice president for engineering.